After stalking Craigslist for weeks, and looking in antique stores I FOUND THEM! A pair to boot! I managed to get them both for $50! And then…. 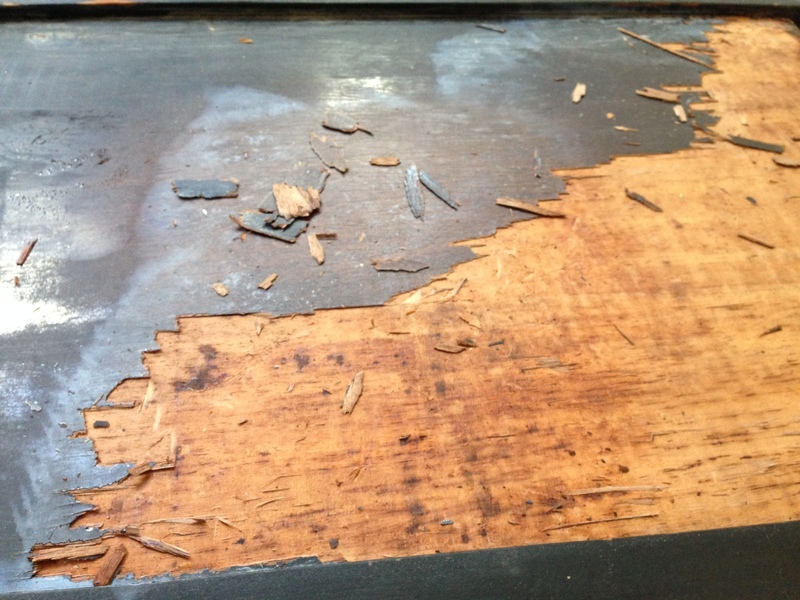 it got nasty, and I couldn’t quite get under the veneer to lift it with out denting the wood underneath. So I experimented. 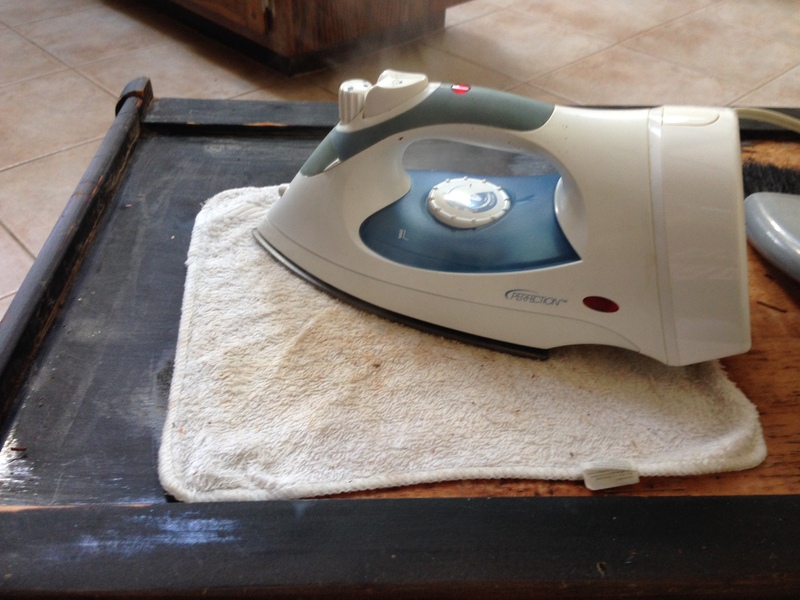 I knew that the veneer was held on with glue… I grabbed a damp facecloth and used my iron to heat up and steam the facecloth. 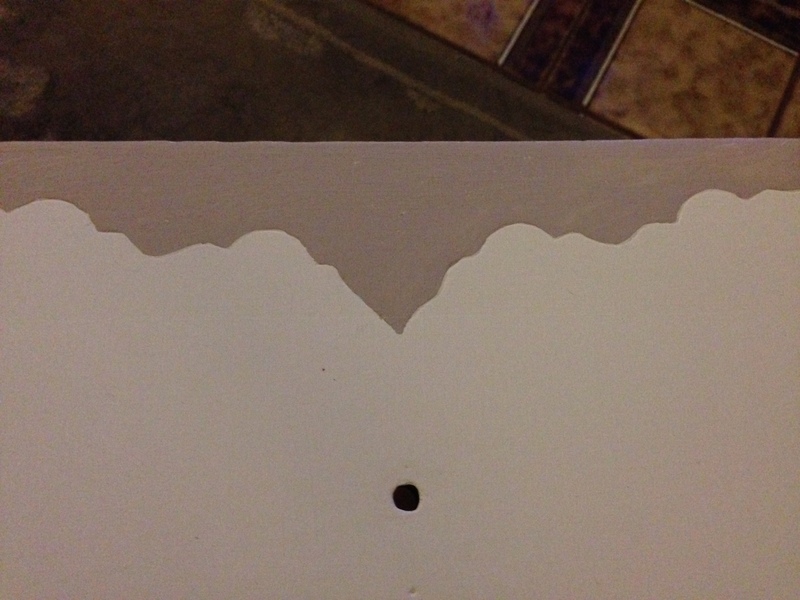 This helped loosen the glue, and made it easier to wedge my razor and putty knife under the veneer. A pretty genius idea if I do say so myself, and I should probably let you know that the face cloth I used was thrown out…. Next I sanded the sh*t out of them. 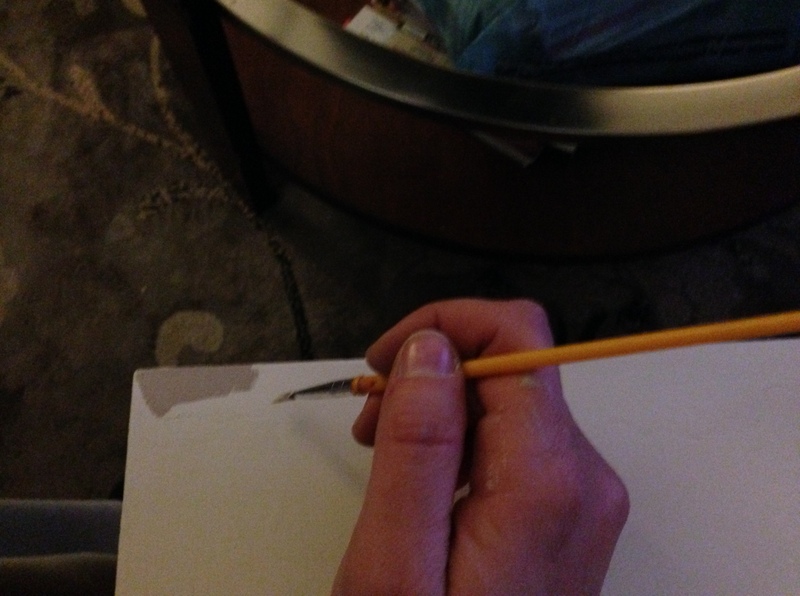 There were lots of dents, they were worn, so I really made sure to get a smooth surface. 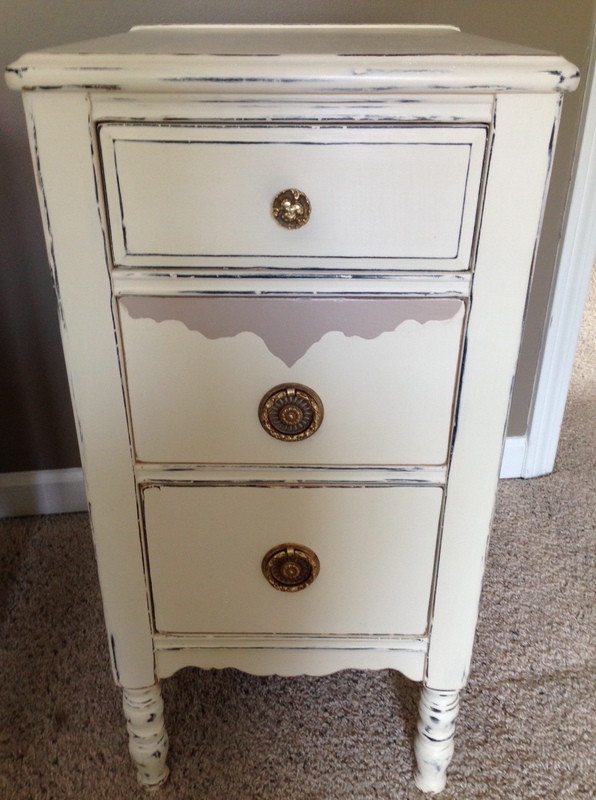 On the middle drawers I discovered an ornate design. Of course the veneer was chipping, so I peeled it off. 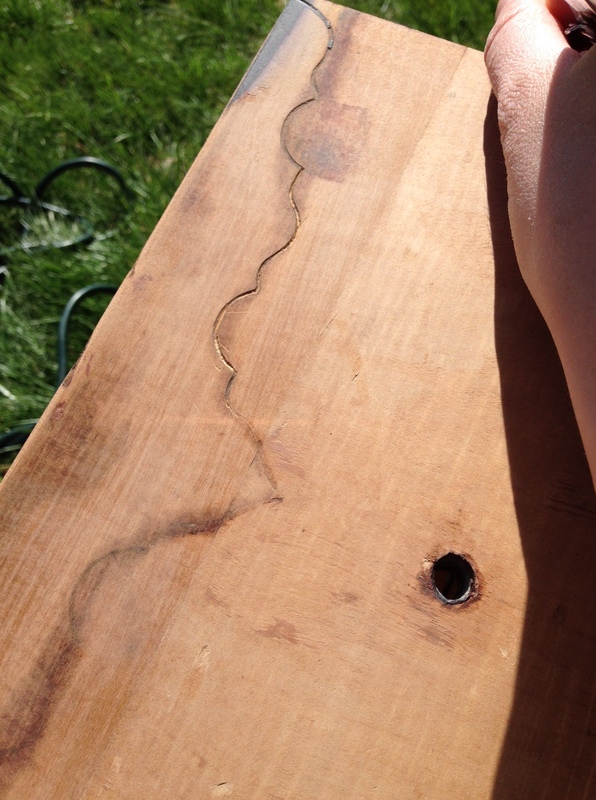 I knew I wanted to preserve the pattern, so I took a pointed metal nail file and traced the shape. I didn’t know what I would do with the design but I knew I wanted to keep it and incorporate it some how. I sanded everything down, and they were ready for paint! 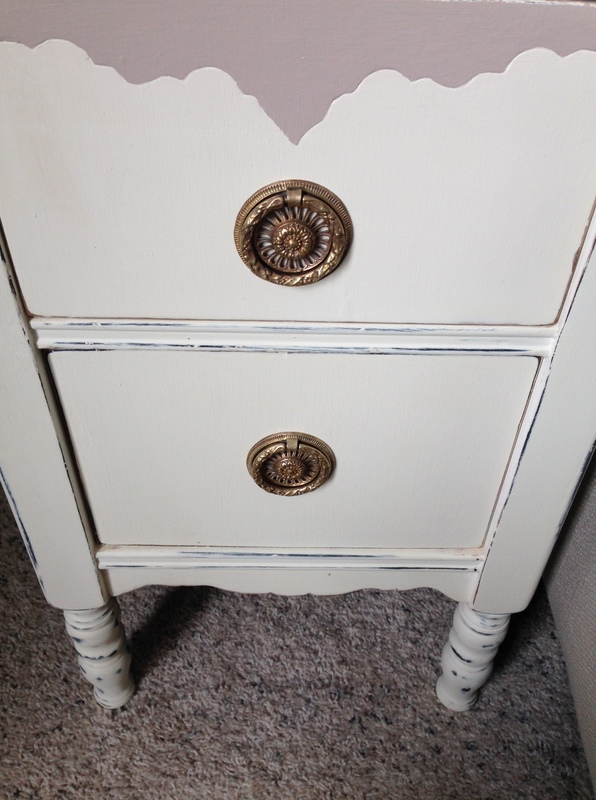 I used Annie Sloan’s chalk paint in “Old White.” I love the color because it is so versatile, and really highlights pieces. 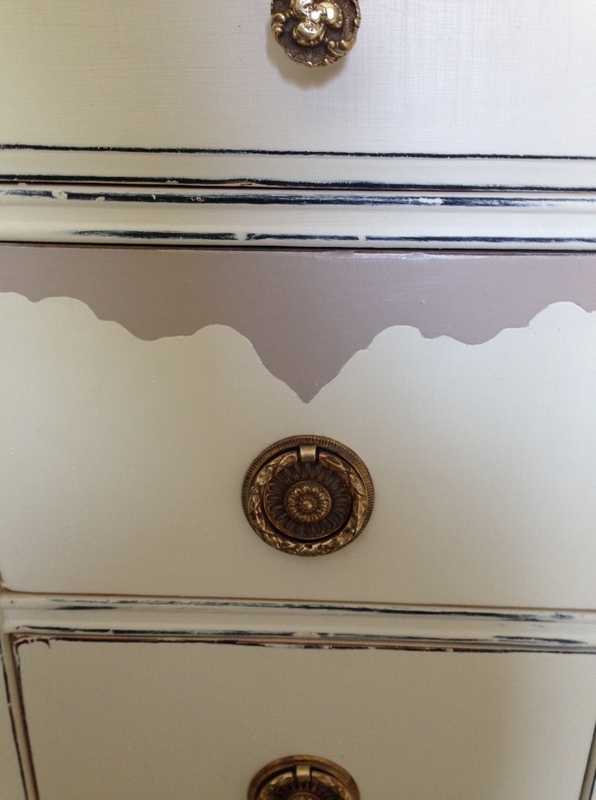 I decided that I would use left over paint from one of my bedrooms to enhance the design on one of the drawers.. 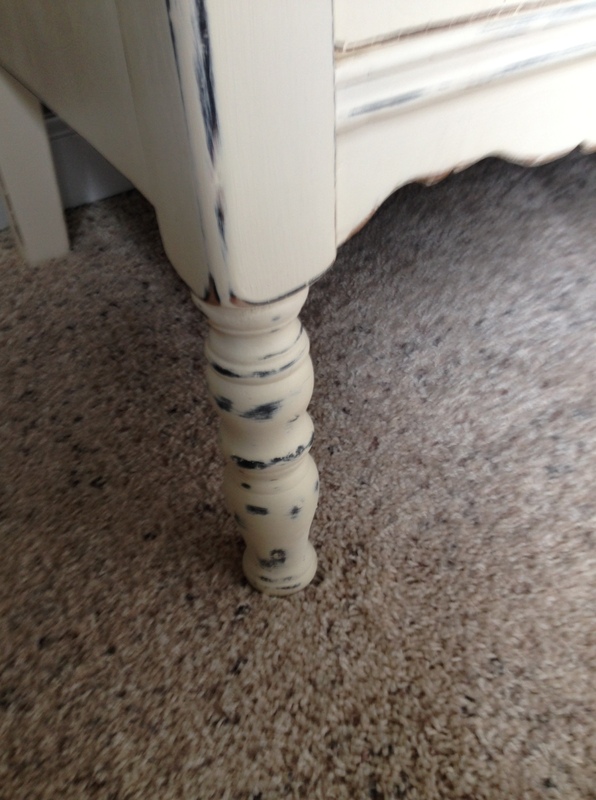 I hand painted it with Benjamin Moore’s “Shabby Chic” that I used in one of my guest rooms. They came out gorgeous, and believe it or not, they matched the same pattern I have on my dresser (but you won’t see that until later <<wink wink>>). I had to do 3 coats of paint (shoot me now), because the wood was so dark and aged that it was bleeding through. 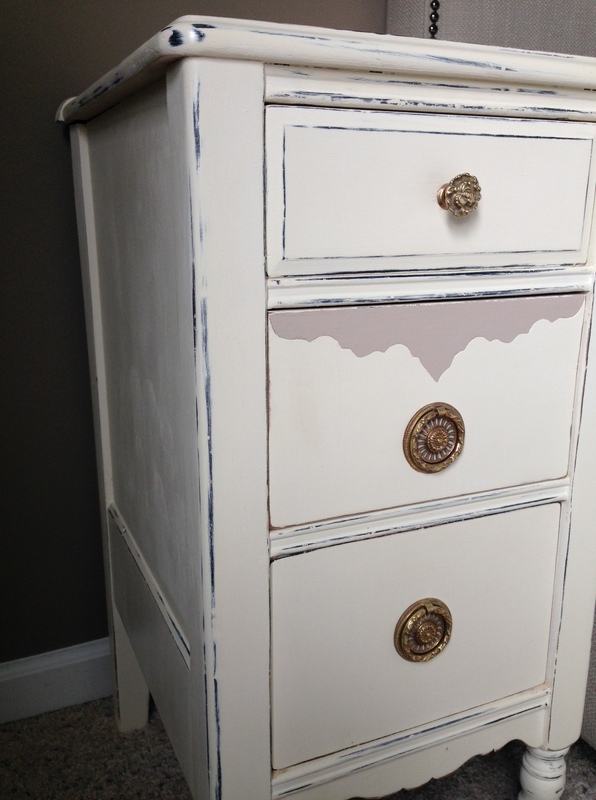 This is usual because Annie Sloan Chalk Paint covers pretty well, but sometimes it does happen. This like weird yellow or sometimes pink stain comes through. You need to apply another coat. 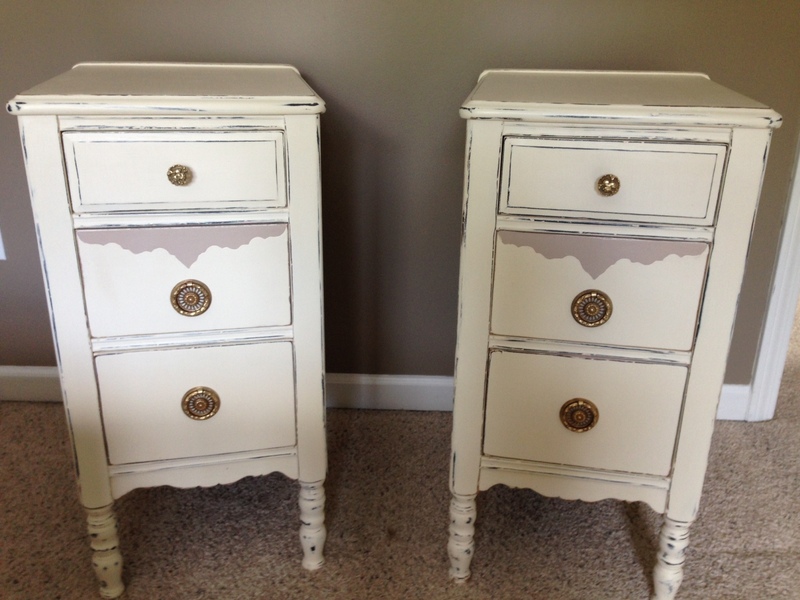 I distressed them, waxed them, buffed them, and polished the hardware…. here is the finish product…. DAMN they are gorgeous! 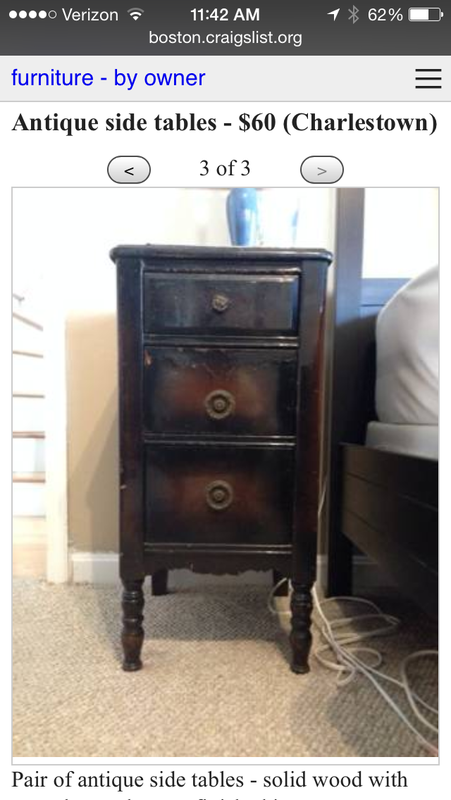 Now wait until you see the dresser- it looks like a complete set! 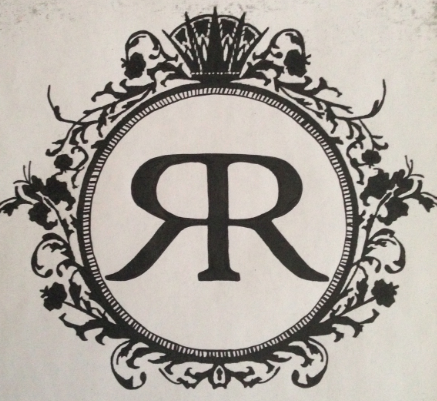 OR visit RenewedReloved.com for other inspirations! Good job Krsita….I love them! !